According to the American Veterinary Medical Association (AVMA), animal-assisted therapy or animal-assisted activities use companion animals such as dogs to provide opportunities for motivation, education, or recreation to improve a person’s quality of life. In such therapies, these animals are an integral part of the treatment process and meant to improve the physical, social, emotional, and cognitive functions of humans. However, Animal-assisted therapy (AAT) as a conceptual term in medicine is relatively new. AAT’s origins come from many disciplines through the ages including psychology, sociology, psychiatry, and later veterinary medicine. In a previous article, we examined the history of AAT dating back to ancient Greece and the use of companion animals to help people overcome physical and mental illnesses. The Greek doctor Hippocrates considered the activity of horseback riding to be relaxing and thought it had a therapeutic value which could help people with incurable ailments. In this article, we’ll examine how animal-assisted therapy is being used in modern medicine and therapy to help people with medical and mental illnesses. Animal-Assisted Therapy (AAT) is the use of animal interactions with patients to aid recovery from health problems or to help people cope with certain medical conditions. Those medical providers and therapists who support AAT believe it has many benefits such as helping with personal and social development, increased self-esteem, improved mental health, better social skills, and increased empathy and nurturing skills. Some forms of AAT involve caring for animals, such as feeding, grooming, and bathing the animals, on a regular basis. Other forms of AAT include an animal being brought to a care facility for patient interaction. For example, ATD’s volunteers bring their therapy dogs to rehabilitation centers, hospice facilities, hospitals, nursing homes, and other facilities to visit and interact with those in need of comfort. In the 1960s, ATT pioneer Dr. Boris Levinson’s practice focused on children’s therapy sessions. When Dr. Levinson’s dog, Jingles, was in the room for the child’s therapy sessions, he noticed that the sessions were much more productive. Ultimately, Dr. Levinson discovered that children who were withdrawn and had difficulty communicating were more at ease when Jingles was present and oftentimes made real attempts at engaging in conversation. A pet is an island of sanity in what appears to be an insane world. Friendship retains its traditional values and securities in one’s relationship with one’s pet. Whether a dog, cat, bird, fish, turtle, or what have you, one can rely upon the fact that one’s pet will always remain a faithful, intimate, non-competitive friend, regardless of the good or ill fortune life brings us. Initially, many of Levinson’s peers dismissed his work. However, Levinson ignored skeptics and in 1969, he wrote a book titled “Pet-Oriented Child Psychotherapy,” thereby establishing himself as the father of animal-assisted therapy. In 1971, Levinson conducted a survey of 319 psychologists and found that 16% used companion animals in their therapy sessions. Canines are often used in hospitals, mental health institutes, and rehabilitation centers where their presence diminishes feelings of fear, distrust, rage, and aggression and help enrich interpersonal relationships. During a visit from therapy dogs, patients break from their monotony and share moments that allow them to disconnect from their sickness and feel secure and hopeful. In facilities for institutionalized senior citizens, the frequent interaction with a dog keeps people active, stimulates contact with reality, promotes self-care, and improves physical well-being simply by making them happy. During a visit from therapy dogs, patients break from their monotony and share moments that allow them to disconnect from their sickness and feel secure and hopeful. In facilities for institutionalized senior citizens, the frequent interaction with a dog keeps people active, stimulates contact with reality, promotes self-care, and improves physical well-being simply by making them happy. The effects are so positive that prisons currently use therapy dogs to reduce violence, antisocial behaviors, cases of suicide, and drug addiction. Beyond this, the dogs also do quite a bit for improving relationships between inmates and guards. These sessions improve self-esteem while helping inmates develop compassion, patience, and trust, which helps prisoners with their eventual social reintegration. 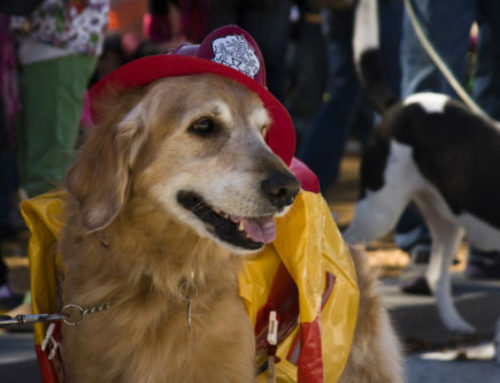 The impact of therapy dogs, alongside the people who volunteer as handlers, testers, and observers are indispensable in helping people in many areas of treatment. 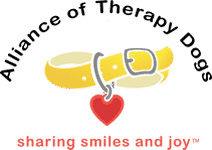 The assisted therapies that dogs provide are based on the link between humans and canines, where the dog, as a partner, intervenes as a facilitator and motivator. Experts often recommend these treatments in helping children with autism, at-risk adolescents, senior citizens with dementia, people suffering from neuropsychological conditions, and physiological disorders, among others. In psychological therapies involving children or adults, the dogs can help reduce stress and blood pressure. Furthermore, dogs provide a feeling of joy, a desire to live, and they generally accelerate the healing process. Some studies, such as those conducted by the Federation Cynologique Internationale, even suggest physiological advantages by demonstrating how children that share their lives with dogs have more stable immune systems than children in homes without pets. The effects of a therapeutic recreation intervention using animal-assisted therapy (AAT) on the agitated behaviors and social interactions of older adults with dementia were examined using the Cohen-Mansfield Agitation Inventory and the Animal-Assisted Therapy Flow Sheet. In a pilot study, 15 nursing home residents with dementia participated in a daily AAT intervention for three weeks. Results showed statistically significant decreases in agitated behaviors and a statistically significant increase in social interaction pretest to post-test. A 2009 study from Loyola University in Chicago found that adults who used canine therapy while recovering from total joint-replacement surgery required 50% less pain medication. In 2010, the Journal of the Society for Psychological Anthropology published a pilot study that examined animal-assisted therapy for children with autism spectrum disorders. The study focused on the ways in which children’s interactions with dogs, trainers, and family members supported their sociality and participation in everyday activities. The study concluded that children with autism socially benefit from interactions in which service and therapy dogs were included. As a volunteer with the Alliance of Therapy Dogs, you can play a vital role in the future of AAT. Please contact us to find out how you can make a difference.